The best luxury villa managers from around the world trust us to increase their occupancy, streamline their bookings, and maximize their overall revenue. On average, our clients see their bookings & overall revenue increase by as much as +45% to +115% or more, and save upwards of 25 hours of work per week to help grow their businesses even faster. 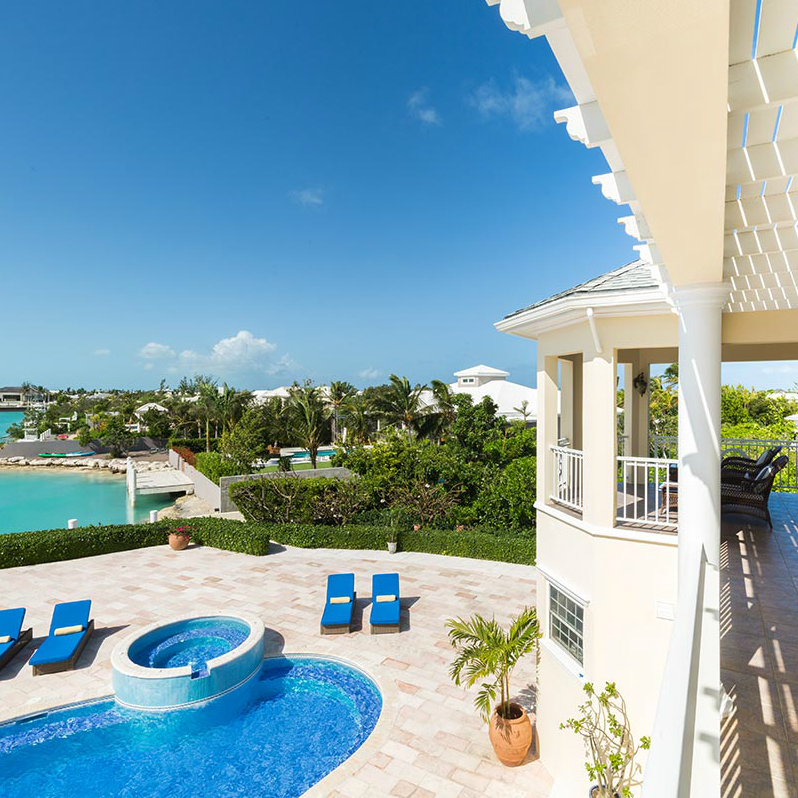 At V R P , we help growth-focused luxury villa & vacation rental managers achieve their most aggressive revenue & expansion goals by using highly sophisticated strategies PROVEN to help increase occupancy, maximize overall revenue, and accelerate growth. As a completely turnkey service, we bring together superior technology and a world-class team of industry experts who are passionate about driving real, measurable growth for our clients. We have the manpower, experience, and operational precision to help shortcut your learning curve and take your business from where it is now, to having your dream portfolio of properties with each one generating rental income in the top 5% - or even 1% - of all the highest earning properties in your market. And with our team on your side, not only will you get the absolute most rental income possible for you properties, but we’ll also help you stay focused on the other activities that matter most and generate massive results, so that you never lose sight of the bigger picture. We’ll get you the absolute most rental income possible for your properties, period. No hypothetical "what-ifs", no random tactics, no BS. We only implement strategies that have been thoroughly researched, rigorously tested, and most importantly, proven to maximize your occupancy & revenue -- no matter where your properties are located around the globe. We know EXACTLY what it takes to maximize your portfolio’s booking potential, and we know exactly how get the most out of the booking channels & agencies that matter most for your business. Our approach succeeds where most fail because of a deeper understanding of how travellers are researching and booking luxury villas today. We ONLY focus on the best marketing channels & activities that are PROVEN to generate massive results, FAST. We’re a POWERFUL extension of your brand and business with an unmatched ability to elevate your booking experience and increase your yearly revenue & profits. Our team of revenue managers and market analysts will strategically optimize every detail of your offer and booking experience to help you capitalize on the constantly changing market conditions and MAXIMIZE your profits for every season throughout the year. As a completely turnkey service, we assemble your very own team of world-class experts to build, optimize and manage every aspect of your marketing channel presence and bookings for you, helping to simplify your business and accelerate growth. Managing your brand, visibility, bookings, onsite operations, and the growth of your company across multiple marketing channels requires the resources of a full-fledge team. We have the manpower, experience, and operational precision to help you cut through the clutter and prioritize what matters most for growing your business. Transparency & trust are everything. The best trust us to to increase their occupancy, streamline their bookings, and maximize their overall revenue. And we take your trust very seriously. Although we might not be the biggest, we definitely have one of the - if not “the” - strongest, most knowledgeable marketing and revenue management teams in the industry. And according to what our clients are saying, we provide not only the highest rental income they’ve ever seen, but we also have the most competent, responsive, and transparent team they’ve ever worked with. Our goal is and has always been to be the BEST at what we do, not the biggest. And we're very proud of our accomplishments. We've been working with VRP for a while now, and we are extremely satisfied with their service and the results they’ve been providing. Their team is incredibly organized, professional, and most importantly, they’re extremely consistent with the quality of service that they provide to us and our guests. The sheer amount of the time and effort their team dedicates to our success is remarkable. They constantly monitor and keeping us in the loop about our market competition, they making sure our listings are always fully optimized, and they’ve helped us improve our bookings by introducing new upsell opportunities. It has not only increased our rental income by hundreds of thousands per year, but it has also freed up a ton of our resources, given our staff more time to focus on expanding our guest experience, and it’s opened us up a lot more opportunities for acquiring new properties. As one of the premier luxury management teams in the caribbean, we needed a marketing partner that we could really trust to not only share our superior standards for quality service, but one that also have the industry knowledge that matched (if not surpassed) our own. Not only has VRP provided the highest rental income we’ve ever seen, but they’re also the most competent, responsive, transparent team we’ve ever worked with. We got over $87,900 in confirmed bookings in the first 30 days, and we're on schedule to earn 3X more than we ever have in the previous years working with the same villas. Also, their response time to guest inquiries is shockingly fast, and the quality of open communication and support they provide after the booking is outstanding. Their professionalism, quality advice, and relentless transparency has made our decision to work with VRP one of the better ones we’ve ever made. I already have, and will continue to confidently recommend them to anyone looking to work with the best marketing team in the industry. Schedule a private consultation with our team and see first-hand what we're all about.